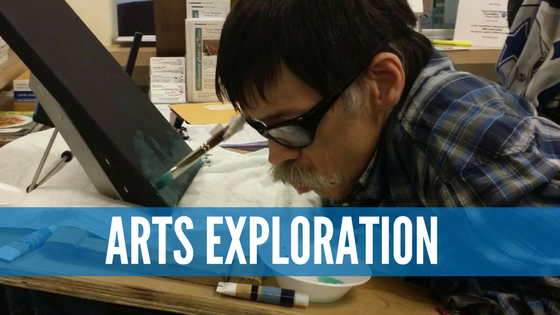 At ACT, we fill our Arts Exploration program with special needs art projects. We designed it to help our students discover and develop their hidden talents. Once given the opportunity to find and develop artistic talents, we've found that our students often exceed in other areas as well. Through our Arts Exploration program, students develop self-confidence, better communication skills, self-expression, self-esteem and much more. Additionally, students in the Arts Exploration showcase their talents in our art shows. To support our students, you can attend the Summer Show, the Annual Gala or the Special Arts Festival. We implement the Arts Exploration program to our students twice a day. 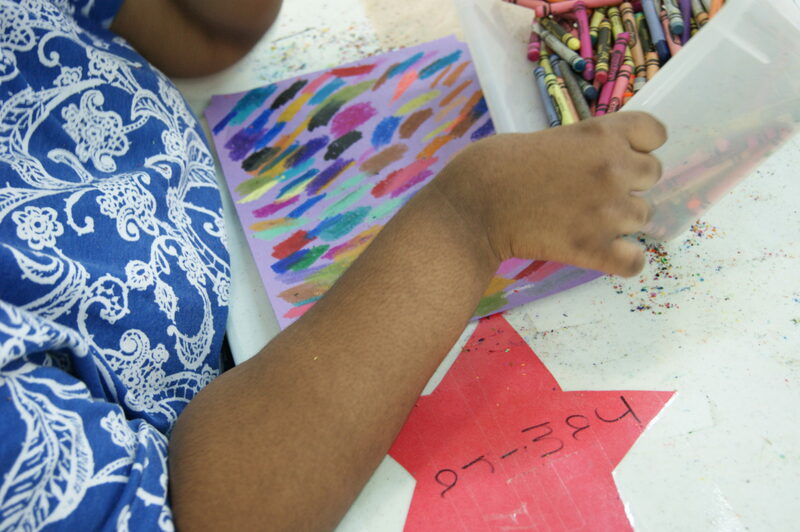 It takes place from 7 a.m. to 8:30 a.m. and again from 3 :30 p.m. to 6 p.m.
Usually, our Day Habilitation program does not interfere with our Arts Exploration sessions. However, if a funding agency requests that Day Habilitation occur after school, we may accommodate Day Hab training for those students. All art projects are designed to be completed by children eight years of age or younger. They only take a few supplies so as not to allow utility to distract from creative expression. 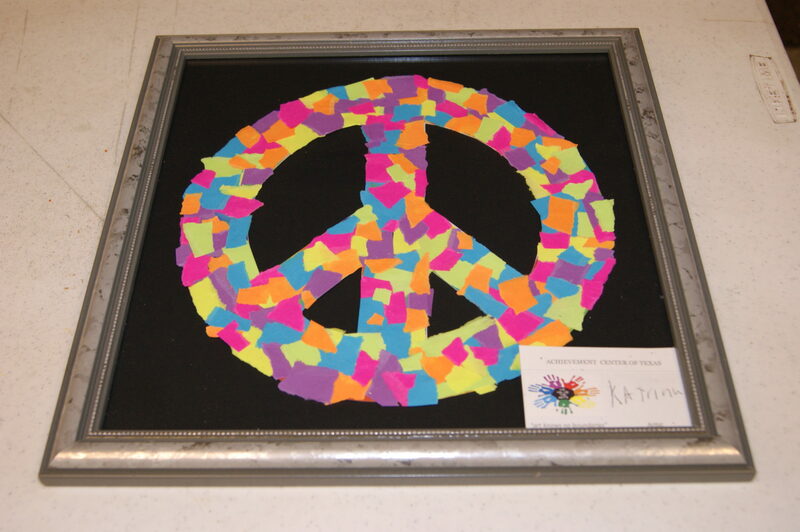 Typically, our special needs art projects involve the use of construction paper, glue, scissors, crayons and paint. Some projects require more. 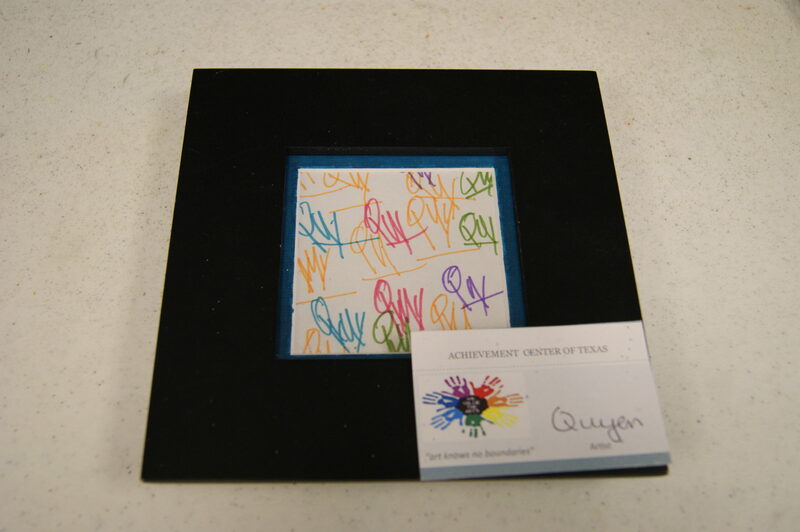 Any piece of artwork that is created by our students during Arts Exploration is treasured and showcased in someway. Some larger pieces get hung up around the center or are even sold during special events, like the Special Arts Festival or A.C.T. 's Got Talent. 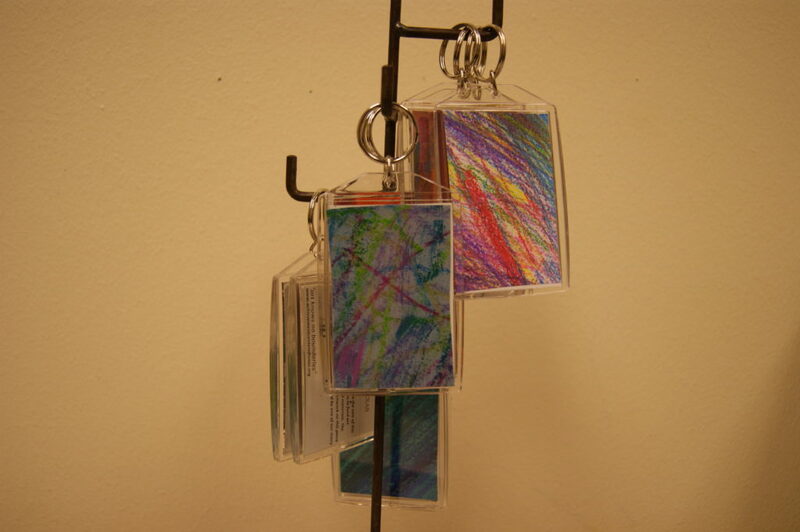 Smaller, more abstract works are transformed into keychains. You can purchase a keychain for just $5.00 a piece by clicking the button below. Once purchased, come to the center to select your keychain. 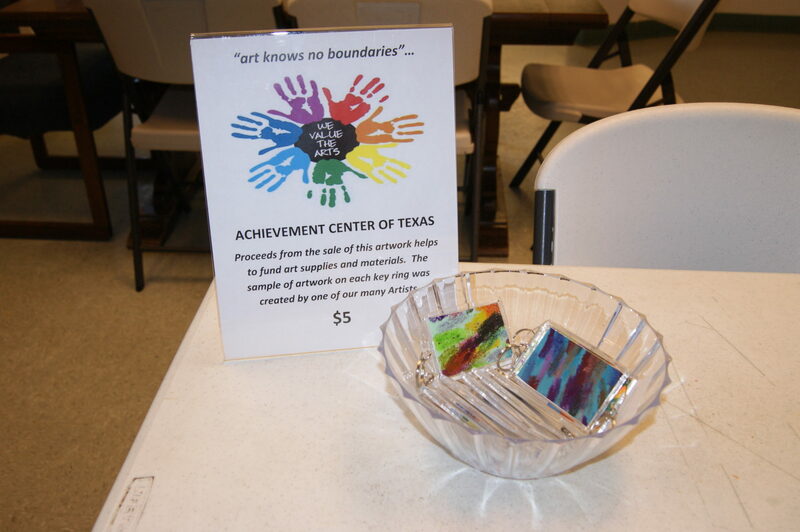 The proceeds from the keychains benefit our Arts Exploration program and cover charges for dance classes for students who can't afford them. Support our students by purchasing a keychain today! A few of our students really take advantage of our Arts Exploration program to demonstrate their creativity and artistic expression. 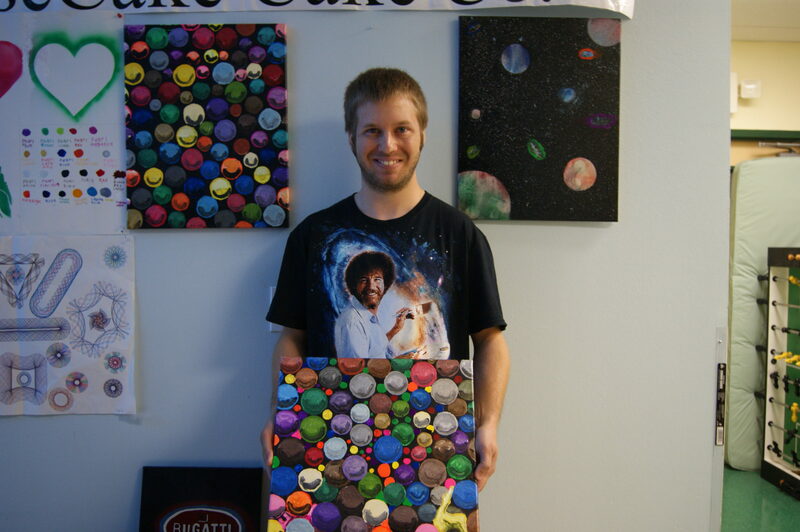 Here are a few works of art completed by some of our students. Thank you for your passion to help people with special needs.